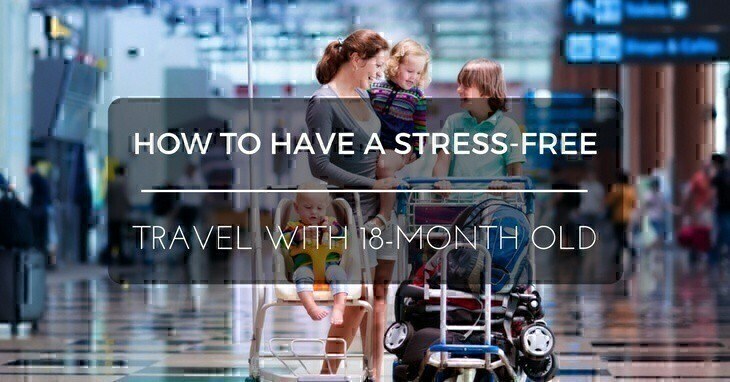 If you want to travel with your 18-month old toddler with no hassle or inconvenience, then this post is for you. Are you planning to travel with 18-month old toddler? I know you’re probably anxious especially if it’s their first time to go out of town. I already wrote about flying with a child in this age group, and I included some tips to make it a non-traumatic experience for the little one, the passengers and you. But what if it’s a road trip? At this point, you can’t just leave them with a movie if you’re travelling for hours. For the first two, it might entertain them for a while, but eventually, they will get bored. Don’t worry though because I’ve been there and we’ve done that. So trust me, you got this. Here’s a handy tip: create a checklist a week before travelling. From snacks to PJs, you have to list them down and only tick off those you already put inside the luggage or bag. This way, there’s no need to cram when you have to leave in a few hours since you might end up forgetting small but important stuff. Always place on top those which you need DURING the trip like snacks, towels, pacifiers or baby bottles. Preparation is the key whenever you travel, and it rarely matters if it’s a long haul or a 30-minute drive. One thing to keep them busy for a few hours at least is to bring their favourite toy or any plaything which they will enjoy. The thing is, one toy isn’t enough. You need to offer them variety because chances are, they will get tired of playing with the same thing over and over again. But don’t over pack – two or three are enough. Also, bringing a book isn’t much of a good idea because reading while travelling (unless if you’re on a plane) can make anyone dizzy. Just remember that happy kids mean happy trip. Always double check the car seat if you installed it correctly. If travelling with another child, make sure they have enough legroom and space. If you travel by air, consider renting a car seat, so you don’t have to lug it along because that’s just impractical. Or for 18 months old, you can always let them sit down on your lap unless if it’s a long haul and your little one is heavy and might get uncomfortable. It is perhaps one of the most important things you should bring. Keep it healthy as much as you can. And go for finger foods like apple slices, crackers, nuts and dried fruit. And while it’s tempting to bring plenty of fruit juices, you shouldn't make them drink it all because you wouldn’t want them asking for bathroom breaks every fifteen minutes. Limit their fluid intake. If you’re flying, they can have as much as they want. Quick tip: Avoid messy snacks like Cheetos or anything that can leave residues on their fingers because you wouldn’t want your car looking like a total mess after. Pants and socks look cute and comfortable, but they’re not the easiest to take off when the toddler pooped. Unless they’re already potty trained (which I highly doubt because it’s still too early), you’re going to find yourself changing nappies mid-travel. You may no longer be a fan of onesies or frog suits, but those are easier to open and change. Do your research so you can stretch your legs and maybe let the child run and play around to burn off energy. It is also a good time for bathroom breaks and if there’s a convenience store, that’s a big bonus because you can buy more snacks or other essentials. When all else fails, you can whip out the tablet and let them watch educational videos or cartoons. Reserve this for those times when the toddler is already restless and doesn’t find it fun to play with the toys you brought. It works whether you’re flying or driving. And if you’re on a plane, you can bring headphones to avoid disturbing other passengers. I recently found a headband which your child can wear – it’s not as annoying as earphones or as bulky as over-the-ear headphones. Plus, it comes in various colors and prints too. I hope you found this helpful. Whether it’s going on a road trip or flying, an 18-month old toddler just needs the following: food, comfort and entertainment. If you covered all three, then you increased your chances of stress-free travel. Then again, kids (no matter how old they are) are unpredictable, and there may be times when they just feel like throwing tantrums. If that happens, stay calm and don’t let it get to you. Try to keep it together even if it’s starting to grate on your nerves. Besides, at the end of the day, you cannot control or predict a toddler’s behavior because that's just how it is. 18-Month Old: Is It The Right Time For School?